Scottish Aviation Bulldog T.I. The history of the Bulldog began in the late 1960s, when the Beagle Company, builders of the then-popular, civilian Beagle B.121 Pup trainers, began developing a replacement for the RAFs fleet of aging DeHavilland Chipmunks. Their design, the B.125 Bulldog, was fitted with a more-powerful 200-hp engine; a constant-speed propeller; longer, strengthened wings; and a strengthened fuselage structure. Before the prototype could be delivered, however, Beagle's financial troubles led it to be liquidated in February 1970. In May 1970, Scottish Aviation Limited (SAL) announced that it had acquired the development and manufacturing rights, and it resumed production of the Bulldog in 1971. The first customer was Sweden, with other nations following in rapid succession, including Malaysia, Kenya, Ghana, Nigeria, Jordan, Lebanon, Venezuela and Botswana, among others. 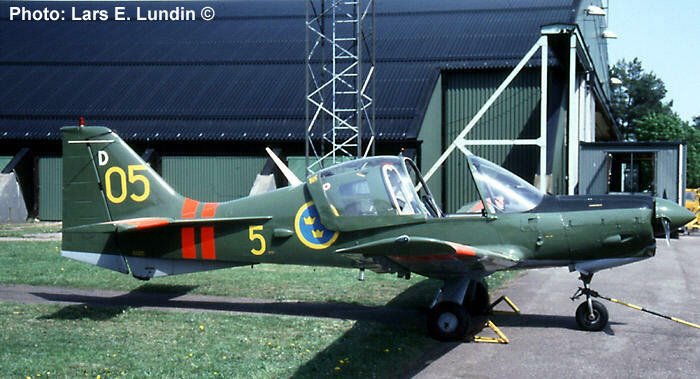 The Swedish designated the aircraft the SK 61. 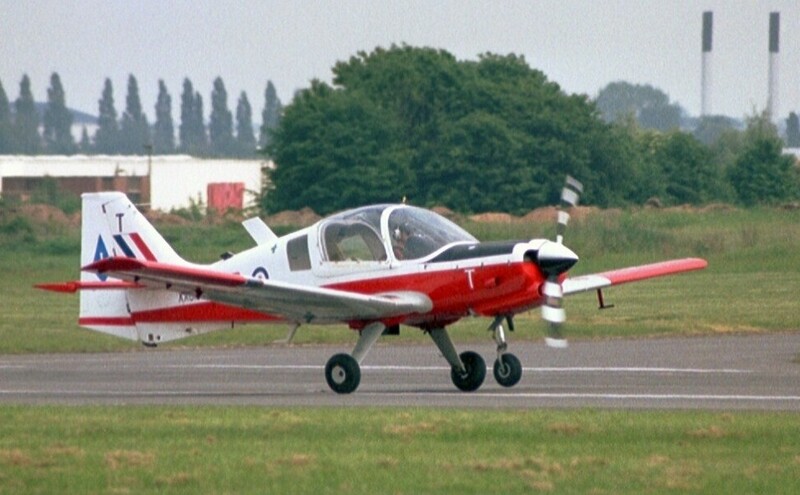 The largest customer by far was the Royal Air Force (RAF), which placed an order for 130 Bulldogs in 1972 to be used as primary "flight-aptitude" trainers for their flying cadets in the University Air Squadrons (UASs). 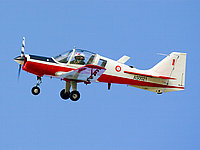 The Bulldog served in this role until at least 2000, when it began to be replaced by more modern Grob Tutor T1 trainers. Increasingly, surplus Bulldogs have been appearing at the UK's Ministry of Defence (MoD) auctions, where many eager bidders from around the world have bought them in anticipation of restoring and flying them as reasonably-priced warbirds. Built by Scottish Aviation under construction number BH100/324. 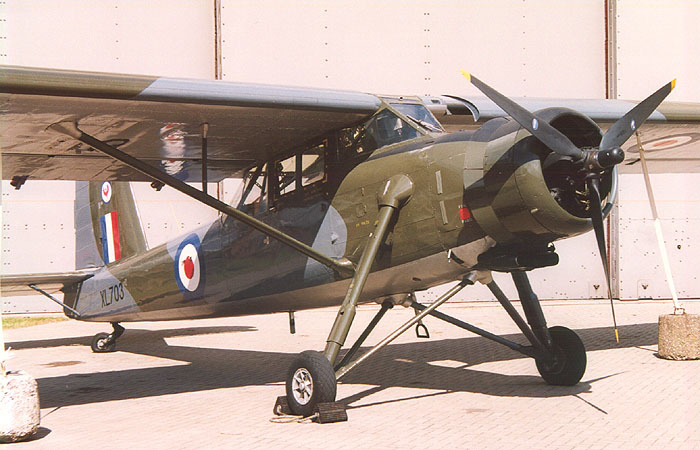 The aircrafts first flight was on 13/01/75 and was subsequently delivered to the RAF on 05/02/75. It served with the Aberdeen and St Andrews University Air Squadron, where it was coded ‘C’ and at some time ‘08’, from at least 1985 until it crashed at RAF Leuchars on the 05/03/99. It was officially written off on that date and the wreckage sold to the Bulldog Company. Powerplant: one 149-kW (200-hp) Avco Lycoming IO-360-A1B6 flat-four piston engine driving a Hartzell propeller of 6' 2'' (1 m and 880 mm) diameter. In the 1950s the Pioneer amazed the crowds at Farnborough air shows by taking-off across the runway instead of along it. The Pioneer's outstanding short take-off and landing performance made it ideal for operations in the jungles of Malaysia and Borneo and the mountainous terrain of Aden, where the British were involved in anti-guerrilla campaigns during the 1950s and 60s. Although the Pioneer first flew in 1947, it was not until a more powerful engine was fitted in 1950 that the RAF decided to buy the aircraft. The new engine made it possible to climb steeply out of jungle airstrips surrounded by tall trees. Pioneer squadrons in Malaysia and Aden worked their aircraft hard to keep remote jungle and mountain forts supplied, whilst also helping to evacuate any casualties. Often they would be flying into rough airstrips only 180 metres long that had been cleared alongside the forts. 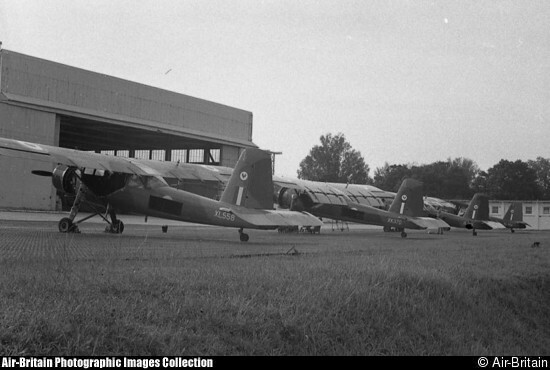 The last Pioneers were withdrawn in 1969, after being used by 'C' Flight of No.20 Squadron in Singapore to guide their Hunters onto ground targets. This aircraft is the only surviving example of the type. If you look at the Pioneer's wings you will see the large slats and flaps at the front and rear that gave extra lift for short take-offs and landings. The fate of this aircraft is not known.